Lewitt LCT640: The Holy Grail? 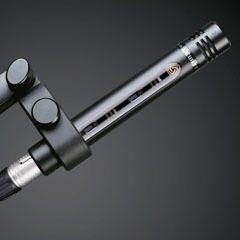 Behold a wondrous, sleek, deep black microphone: the Lewitt LCT 640. The LCT 640 is a FET large diaphragm condenser. It comes packed with a ton of features. To summarize, it includes 5 polar patterns, a variable high pass filter button, and a variable pad button. Although it includes a killer feature set for the asking price, Lewitt certainly didn’t sacrifice the quality when designing this microphone. Like all good quality microphones it doesn’t feel cheap or fragile in one’s hand. It holds some weight but not so much that it would give your boom arm a cramp. All of the polar/HPF/pad buttons have their own corresponding white LED lights that indicate which option is selected. You know what’s even cooler about these buttons? They don’t create any electronic popping noises in the signal when switching between modes. The shockmount is very solid and the bungee is tightly woven in. This mic ain’t going anywhere when it’s strapped in. The microphone certainly looks fancy on your stand after enabling the phantom power switch on your preamp. I really like the rectangular shape and all black finish to the microphone. If I were smart enough to design my own microphones I think I’d follow a similar cosmetic style. Now that you’ve fantasized about the microphone LEDs lighting up your studio, let’s talk about how this black beauty sounds. After playing with this microphone for awhile I quickly started to realize how versatile it really was. So I decided to include multiple sources in this review. Enjoy! All audio samples were recorded using Mogami cable directly into the clean, high quality built-in preamps on my RME Fireface UFX audio interface. All takes were recorded at 44.1 kHz, 24-bit with the HPF and Pad features disengaged. First up, and obviously coming from me, voice over! Here is my babbling mouth performing a higher pitched, edgier, and more aggressive commercial read. This microphone really took the transients in my voice like a champ. I can quickly tell if I don’t like a microphone on my voice when the transients are blurred or just overly hyped. The LCT 640, however, welcomes those transients. My voice really cuts through and sounds very much “in your face.” The upper mids have just the right amount of presence — ideal for voice over. Now we have a softer, textured, and more intimate narration read. Ok, are we sure this isn’t a tube microphone? Wow! The sound is so warm and rich; it really flatters my voice. The low mids have just the right amount of presence without producing that unnatural boomy radio DJ sound. What’s fantastic is that it still captured all of the vocal texture in the highs. After listening to this sample I decided the LCT 640 is easily one of the best LDC microphones I’ve ever heard on my voice. It was so good that I decided to use it when producing my latest narration demo. You can hear the Lewitt on the first “Nazi” spot and again on the third “Giant Squid” spot. Well I must say that this mic handles vocal SPL very well! As you can hear her performance is extremely dynamic and the mic doesn’t crap on itself when she begins to project at her loudest. The performance is very soft and pleasing to listen to. Even though she is 10'' from the microphone, it still captured the perfect amount of highs. No sibilance issues here! Her voice is also extremely present in the mid range. 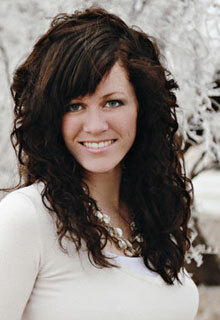 Next up is my beauty of a wife, Toni. I actually had the opportunity to hear her sing before I even met and eventually married her. I asked her to sing a soft and intimate piece to provide a contrast between her and Eldeen’s vocal sample above. Here she is singing a piece from Jewel called Little Bird. My oh my does that sound good to my ears. No, I’m not just being biased because it’s my wife. Even though this microphone handles more aggressive vocals like it’s nobody’s business (more on that later), I feel that it shines even more on soft intimate vocals. The low mids in her voice are right in your face in a pleasing way. I absolutely love how well it captures the subtle high frequency nuances like her breath. Those frequencies can easily sound harsh, and even gross, on other microphones. Her vocal, just overall, has this nice rounded tone to it. This would be a great microphone for acoustic guitar playing singer/songwriter musicians. Here we have a male vocalist who recorded a pop rock song in my studio. I put him right up on the LCT 640 as if it were a U87 – about 4–5'' from the grill. We were going for an in-your-face rock sound. I swear I didn’t have a compressor in the chain! It sure sounds like it to my ears though. Well, I’m pretty sure we accomplished that in-your-face rock sound we wanted. I didn’t have to reposition him once. You can really hear the bite and aggressive transients in his vocal. You can hear everything from the body of his chest tones all the way up to the upper texture of his voice. The mic also didn’t collapse under the puffs of air his lips were creating. Yes, I did have a pop filter but, at this mic distance, a pop filter doesn’t usually stop every blast of air. I was extremely happy with how well his vocal turned out. It was present and cut out of a dense pop rock mix. Next up is me… singing. Yes, singing and not me trying to convince you that eating a Strawberry Harvest Bar is the ONLY way to jumpstart your morning. Although 16 essential vitamins and minerals sounds pretty healthy doesn’t it? I couldn’t find another male to sing for me so I decided to do it myself. I wouldn’t really consider myself a true vocalist — so beware! To contrast the rock vocal above I sang a softer and more intimate sample. The fun little pop piece is called Ih-Ah!, by The Devin Townsend Project. There you have it. Was it that bad? All vocal performance comments aside, I was very satisfied with the results. This mic captures the highs in a way that other similarly priced mics don’t. It accentuates just the right amount of highs while still maintaining the integrity and warmth of the vocal. Again, it sounds soft, round, and pleasing. Am I ever going to find something this microphone doesn’t sound good on? Over the past few years I have been recording a (mostly) teenager female vocal jazz quartet. Three of them are ages 14–18, and the 4th is an adult in her 30s. For project budget reasons I record all four of them in a circle, facing the microphone, in omni. I position each of them carefully, approximately 22–28'' from the microphone. During the last session I had the LCT 640 available so I used it! This was recorded in my live/control room which is fairly dead, actually. Here they are singing the holiday carol, Holly and the Ivy. This was by far my most favorite microphone I’ve used on this quartet. It equally flattered each of their voices. Other microphones I’ve tried usually sabotage one of the four voices — requiring significant EQ shaping later. Not so with the Lewitt; little EQ was required. Jazz vocal groups typically strive to sound equally balanced when performing. When you’re limited to one microphone, you need it to capture that equally balanced performance. The Lewitt does just that. Finally, here we are with the last example, acoustic guitar. I asked my wife to strum four different chords for me. The guitar is an Ibanez AEF30E with some steel strings that should have been replaced months ago. Now the Lewitt has to work even harder! Just when you thought the LCT 640 was only a good vocal mic it proved you wrong. For just a mono recording I felt that the mic really captured the whole spectrum of the guitar quite well. Very true to the source. There was the right amount of body and low end without sounding tubby. The sound of the pick hitting the strings sounds beautiful to my ears. Other mics can make it sound like the guitar pick is strumming your eardrums. The high frequencies are very clear and open, which is essential when recording acoustic guitar. I didn’t get to try the microphone on sources other than vocals and guitar but I would be surprised if it didn’t sound good on nearly everything else. Hell, just as a vocal microphone alone it’s worth every penny. It truly does shine on vocals and spoken word. Every voice was captured beautifully by the Lewitt. The Lewitt LCT 640 is the most versatile microphone I have ever used. I couldn’t get this mic to sound bad on anything. It was just way too easy to get a quality sound. Present, clear, and soft are the words that come to mind when describing this amazing microphone. It also has incredibly low self-noise. Noise was never an issue even at higher gain levels. I can’t even really give specific placement or usage tips because it’s just so easy to get a good sound with this mic. Let your vocalist practically eat and spit on the microphone; it sounds good. Have your vocalist sing from 1–2 feet away; it sounds good. I rarely find it this easy to get such a fantastic sound with other microphones. Amazing sound and build quality, HPF, pad, and 5 polar patterns all for the street price of $800!? That’s insane! If you’ve been searching for the holy grail of all-purpose, versatile microphones look no further. Well, at least, MY search has ended here. My love affair with this microphone grew so strong that I wanted to purchase it, but Matt wouldn’t sell it [it wasn’t mine to sell! –Ed.]. I’ll be fighting off tears and slight whimpering as I drop the microphone off at the post office. Goodbye my boundless black beauty. Love, Jordan. Jordan Reynolds is a voice actor and recording engineer based in Denver, Colorado. Reach Jordan on Twitter (@jordanreyn) or his personal site, jordanreynolds.com. You can hear Jordan test-drive the Shure KSM ribbons for voiceover (pictured at right), and the Royer R-101 and DIYAC RM5 for voiceover in his two prior reviews on RecordingHacks.com. For more on the Lewitt LCT condensers, see Shawn Biggs’ review of the LCT 540 and LCT 640, which includes audio from San Francisco’s Studio Paradiso, and one of our acoustic guitar mic shootouts, which included the LCT 640 as well as mics from Shure, Audio-Technica, Audix, and BLUE. See also Eric Carpenter’s review of the entry-level LCT 140 SDC. I just purchased an LCT640, and absolutely love it, but it is great to read your responses, and recordings. Especially on the female voices – just lovely. I just read and listened to your review of the Shure, KSM ribbon mics, thanks also for that. Laudate Dominum by W.A. Mozart, i think. For this particular narration, I like the LCT 640 better than even the KSM 313 (rear), though I suspect that if you were to read a piece of fiction, I could prefer the KSM 313 (rear). The LCT 640 at 4-5 inches easily beats the U87 at 7 inches in your Shure ribbon shootout. So, in summary, it’s not exactly the most “fair” comparison but your observations certainly don’t discredit the amazingnes of the 640 :). Wouldn’t C414 be the more relevant comparison in terms of features and price? Danny: Yes, I would agree. Especially if you compare the just the look of the microphone. But as for the feature set and price range (although the 640 is $200 cheaper) I would consider them direct competitors. I’ve read multiple comments online of people selling their 414’s and buying a pair of LCT 640’s after trying them out. 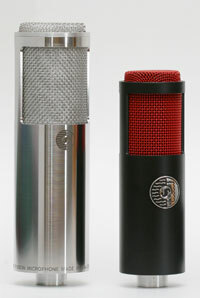 I’ve also used a 414 in my studio and highly prefer the 640 for my recording uses. That doesn’t mean that the LCT 640 is always going to sound better than the 414. The 414 is still a great mic. What sounds “better” is always subjective :). This is still my favorite and most used microphone in my collection. I’ve used it on everything from voiceovers to kick drums, from guitars to foley. I don’t think I’ve found a single thing I don’t like this microphone for. It’s so full sounding too that all of my raw tracks take less mixing to dial in than with some of my other mics, even my tube mic! At it’s price point I might be purchasing another one to supplement my current one. I’m wondering how this would stack up against, say, an MA-100, or one of the other really nice condensers around that price point. Thanks for the samples and the post. I’ve never used an MA-100 but I hear great things about them. The MA-100 is a small diaphragm condenser so I don’t know if that would be the best comparison. Maybe hearing it next to a TLM 103, Bock 195, MA-200, C414, KSM44, AT4050, etc would be cool….and a lot of work :). I happen to agree with Jordan, as I’ve been using Lewitt microphones for a couple of years now. As a recording engineer, I have to say that the LCT 640 compares with the 414, and with the U-87, both of which I own. However, the flexibility of the 640 is far & away the most inspirational mic of the three. My only concern is that the average home studio owner is not prepared to work with the 640, as patience is not their virtue. I’ve had the opportunity to use the LCT 640 in a number of world class studios, and when put through a 1073 pre running into a Neve 88r the sound is phenomenal. Yes, the 640 is such a fantastic mic. I’ve been using it in conjunction with the Roswell Pro Audio RA-VO mic. Both very different flavors!